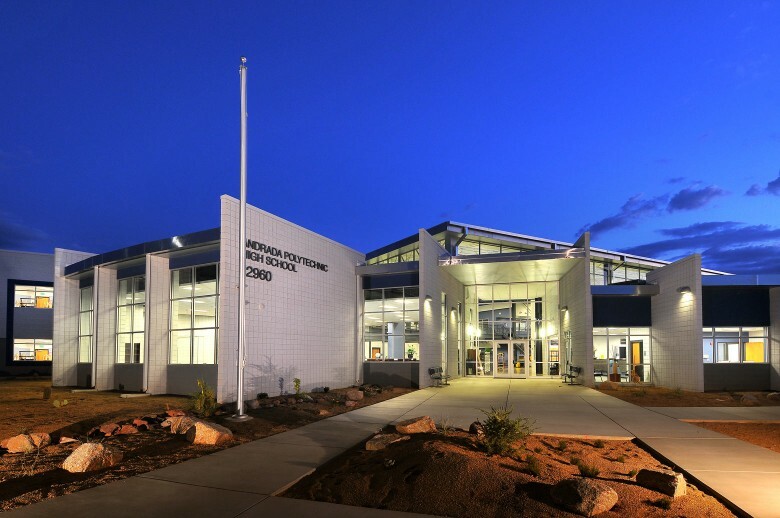 Andrada Polytechnic High School is a 600 student, 80,000 SF high school with bioscience, wellness, and transportation academies organized around a central commons. Growth is anticipated for 1,100 students. Pantano High School shares the campus, though the schools have separate identities. The sustainable design is certified LEED Silver and includes features such as natural daylighting, passive rainwater harvesting, use of salvaged materials, and a 1 MW photovoltaic system. This dual campus includes an on-site water treatment facility and was constructed with Lloyd Construction as the Construction Manager at Risk.